Maher and concrete extends back in time to the early 1950's. Five brothers from Missouri came to California to take on the Golden Dream. It wasn't long before they gained the knowledge and skill necessary to form their own concrete business. Today, the third generation carries this legacy forward. R & R Maher was established in 1987 by Rick Maher, a son of Jack Maher, one of the five brothers from Missouri. Rick ran this company until his untimely passing in early 2013. Today, the company is run by Rick's two sons, Brad and Doug Maher who have worked in the business for twenty plus years. Although our founder Rick Maher is no longer with us, the company he built remains strong today and will continue to thrive in his honor as one of the best concrete construction company's in the industry. 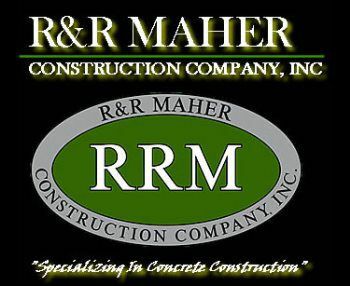 R & R Maher is a Union Contractor specializing in all phases of concrete construction. For over three decades, we've been involved with a variety of commercial, industrial, institutional, government, private and public works projects. Whether it be street improvments of curbs, gutters, sidewalks, driveways, handicap ramps, or structural concrete - building foundations, slabs, retaining walls, and much more, we are ready for your next project. We are a company that sets high standards on quality and integrity while remaining competitive in today's market. Our crews are some of the best craftsman in the business and take great pride in their workmanship. Call us today and let us know how we can help on your next project. Take a minute to view ourportfolio page to see a sample of what we have to offer.